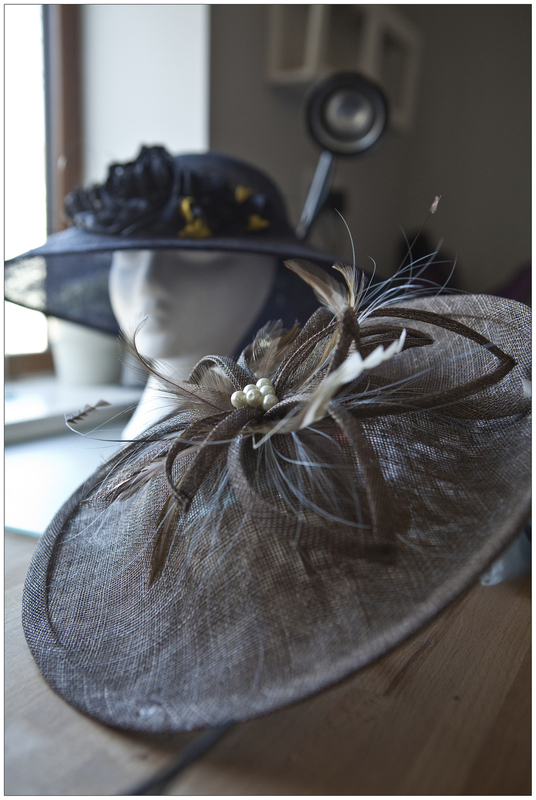 Fascin8 Millinery - Beautiful couture millinery, handmade in Mid Wales. Fascin8 Millinery specialises in making bespoke hats, headpieces and bridal headpieces using traditional millinery skills. Every piece is designed and handmade by Amanda herself. Time is taken at each consultation to ensure the style compliments and the colours match perfectly. Beautiful fabrics and millinery materials are used to create a piece you will be proud to wear. Orders can be placed in person, by appointment or online. All of our hats are hand blocked using traditional millinery skills. We use sinamay, wool felts, pedal straw and parasisal fabrics to make the hats. We have a large selection of headpieces for you to try on for style. Designs are all shapes and sizes and any number of different trims can be used to finish your piece. Our bridal headpieces are designed and made to suit your wedding dress and personality or wedding theme.